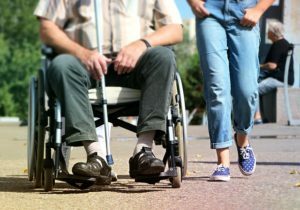 Will Your Disability Cost You Your Kids? Disabled parents are often unfairly judged and denied the right to raise their children without the interference of child protective services or child welfare agencies. Parents who have a disability are more likely to have their parental rights terminated than non-disabled parents. Two-thirds of state child welfare laws consider a parent’s disability in considering whether to terminate parental rights. Family law attorneys are fighting to change state laws and end this discriminating practice to ensure the rights of parents with disabilities. A study conducted by the University of Chicago’s Chapin Hall Center for Children found that parents of certain racial and ethnic populations represent a disproportionate number of those who have lost custody. A parent who is African American, Native American, low-income, or a member of the LGBTQ community in addition to having a disability is almost twice as likely to lose their child(ren) to the system. Once a child is removed from his parents and enters the child welfare system, it can be almost impossible to meet the requirements of a court-ordered case plan. Discrimination exists toward parents who have all types of disability, including psychiatric, intellectual, physical and sensory. There appears to be a preconceived notion that disabled people are incapable of properly caring for their children. But for many, this notion is unjustified. Through the Looking Glass, a non-profit organization that serves families with disabilities has estimated that only 6.2 percent of parents in the United States have a disability. Meanwhile, a disproportionate 19 percent of children in foster care have a disabled parent. Parents and family law attorneys are fighting back against what has become a national phenomenon. Legislation and lawsuits have been introduced throughout the United States in states like Colorado and New York to fight back against this discrimination. Scholars have identified how children benefit from having a disabled parent and keeping families intact. Children exhibit increased empathy and stronger family bonds are created that lead to a greater quality of life. Disabled adults have the right to raise their own families without being subjected to the fear of losing custody of their children. The first step is to work toward changing state laws that unfairly promote bias against disabled adults and certain minority groups.